It’s been a bit quiet here on the blog, so I thought I’d take a few minutes to write up an issue I raised with the fine folks over at LastPass . So, here we are a month later, and LastPass has rolled out a “fix” for the issue I reported to them. This means I can give you the down and dirty details now that you’ve all updated your Android devices to the latest LastPass version (currently 2.5.1). FYI: the CVE numbers for these issues although not referenced in the LastPass changelogs as yet are CVE-2013-5113 and CVE-2013-5114. This research needs a little back story to explain it, so bear with me for a minute while I set the stage. 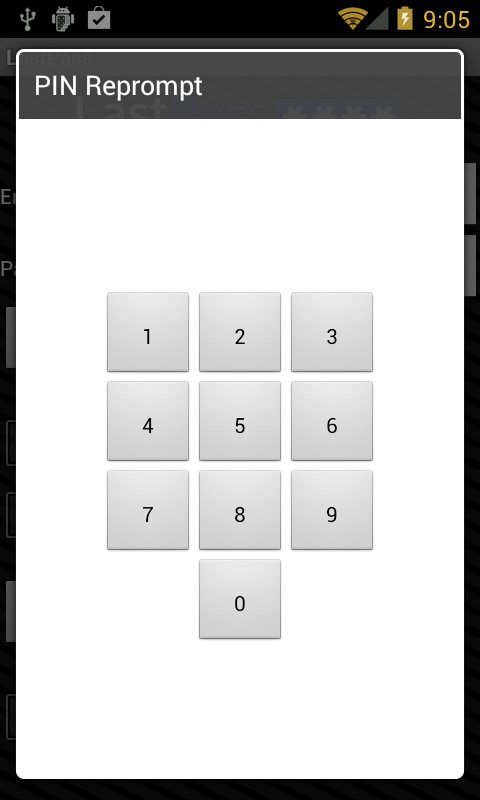 I started down this research track when I was looking at how Android applications provide additional security through PIN and/or password protection of specific applications. This additional layer of security offered by applications like LastPass is there to stop people who have physical access to your Android device from getting into the more secure areas of your data (e.g. Passwords). With this in mind I expected the implementation of these protections to be designed to stand up to an attacker with physical access to the device (aka. somebody who’s stolen/borrowed/found your Android device). Without root access to the android device, it’s not directly possible to view or alter the data of specific applications. Even if USB Debugging is enabled (by the owner, or later by an attacker with device access) it’s only possible to view specific data on the Android device, not all the juicy stuff. Everything I’m about to discuss is possible based on a non-rooted device, however USB debugging needs to be enabled to allow us to interact with the device using adb. Remember, the scenario we’re talking about here is physical device access, so this shouldn’t be a big hurdle. LastPass allows a user to save their password within the Android application so that you don’t need to type it every time you open the app. This isn’t abnormal for applications, and like any good security minded application they give you options to secure the access using something other than your long long password (aka… the PIN). Given my experience, users of such applications have too much faith in the security of their devices and have no desire to type in their 32 character random LastPass password whenever they open the application (have you tried that on a handheld device? Yhea, not fun…). Much better to store the password in the secure container settings and assign a PIN to protect the app (because that’s secure!). When I first started testing LastPass on the Android (version 2.0.4 at the time) I noticed something interesting about the AndroidManifest. In particular the android:allBackup was set to True, meaning that even though I couldn’t read or edit the configuration/settings of LastPass directly on the device (remember, non-rooted device) or via ADB (remember, USB debugging enabled, but even then no direct access), I could perform backup and restore operations via ADB. This led me down the trail of learning more about the “adb backup” command (introduced in Android ICS). What makes adb backup and restore so useful in this context, is the ability to not only backup a device entirely over USB, but also to specifically backup individual application data (with or without the APK file). This makes the backup and restore much more flexible for what we’re looking at doing. After all, backing up an entire 16GB device every time gets tiring (I’m looking at you iOS). By performing an adb backup (command: adb backup com.lastpass.lpandroid -apk) and accepting the prompt on the device, you end up with a backup.ab file containing the LastPass application (APK) and the data/configuration/settings from the application. There have been numerous discussions on the format used by Android Backup files, but I wasn’t happy with any of the solutions offered to decrypt the AB files into something usable. 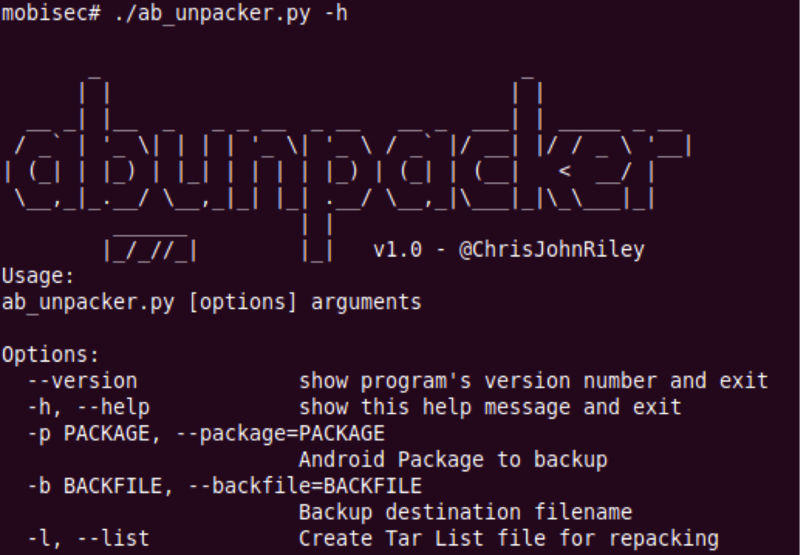 So I decided to automate the lengthy process in Python (see https://blog.c22.cc/2013/08/01/bsideslv-android-backup-unpacker-release/) and add in some features to ease things a little. The final result is a directory output of the LastPass application (with or without the APK – your choice – screenshot is without APK). 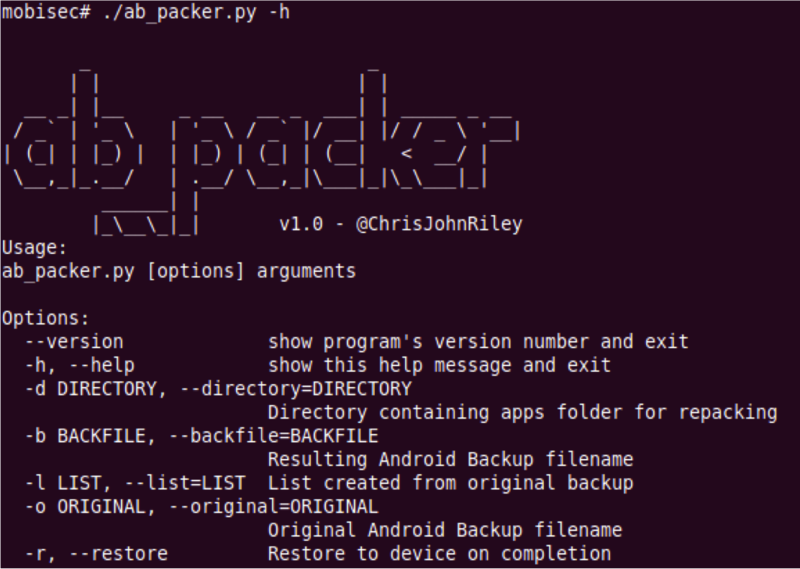 Using more Python trickery goodness (see https://blog.c22.cc/2013/08/01/bsideslv-android-backup-unpacker-release/) we can take the directory structure created and rebuild the Android Backup file (with the changes that we’ve made to the files of course). Then we can restore the backup to the device (if you still have access to it) or to your own device/emulator (make sure you have the APK in the backup file or the app already installed if you want to restore to another device). However, the easier and more fun option is the pincodeforreprompt / passwordrepromptonactive and requirepin alteration which results in the LastPass application not requiring a PIN for entry anymore. Some of the more eagle eyed amongst you may have already noticed another interesting attack vector here. The ability to backup LastPass from a device (within 30 seconds if you’re handy ;) and return the device to the owner, coupled with the freedom to restore said backup to an attacker controlled device, makes the attack much more interesting. Not only can you do this, bypass the PIN in your own time, and then read and extract the stored passwords as desired. You can also maintain access to the users LastPass account until such time as they change their LastPass password itself. If the original owner alters their any of the passwords their store in the LastPass service, the attacker can simply close and restart the cloned Android container to update the information from LastPass’ servers. Until then, make sure you upgrade your Lastpass to the latest Play Store version (2.5.1 at this time) and keep an eye out for further fixes! 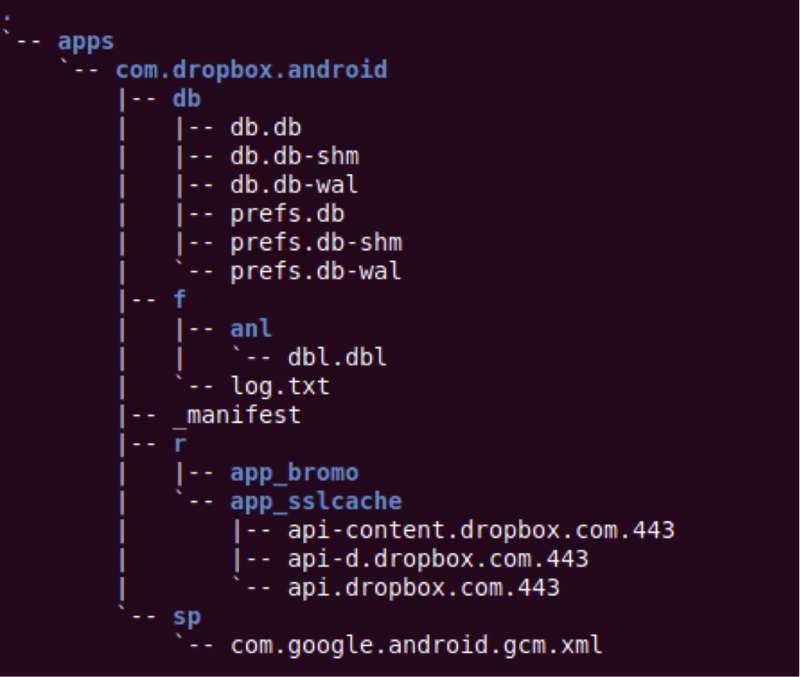 As part of my “Mobile Fail: Cracking open “secure” android containers” talk at BSidesLV I’ve released a couple of scripts I wrote to automate some of the legwork involved in backing up Android applications and automatically unpacking their data and settings. The accompanying script takes the data and settings structure and re-packs it into a working Android Backup file for restoration. These scripts were used as part of my research to view settings used by applications and in some cases alter the configuration to deactivate secure features or allow access. In some cases it’s also possible to alter configuration files to gain elevated functionality (unpaid… but nobody would ever do that… right! ).